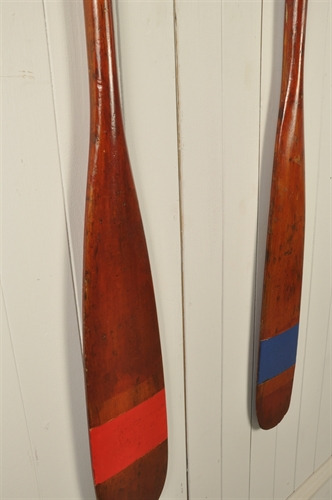 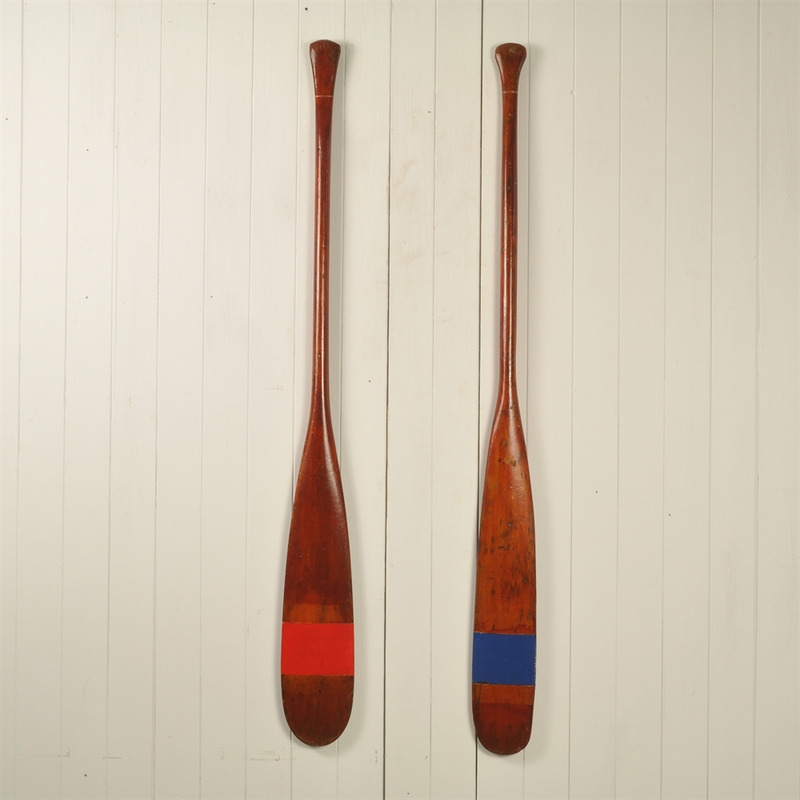 These old painted paddles came out of a house clearance in Malvern. 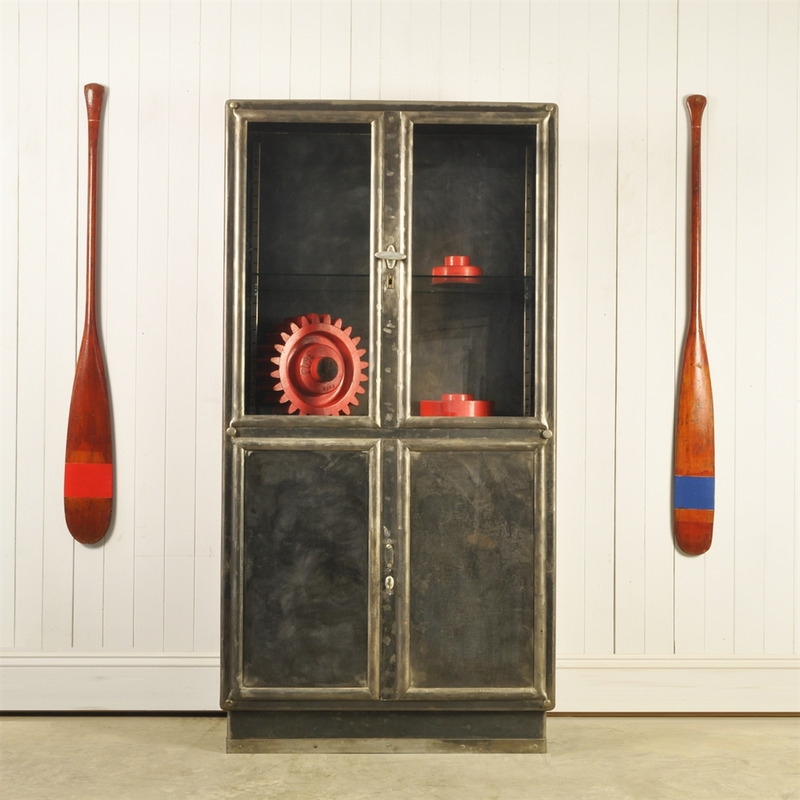 We were really drawn to them as decorative pieces. 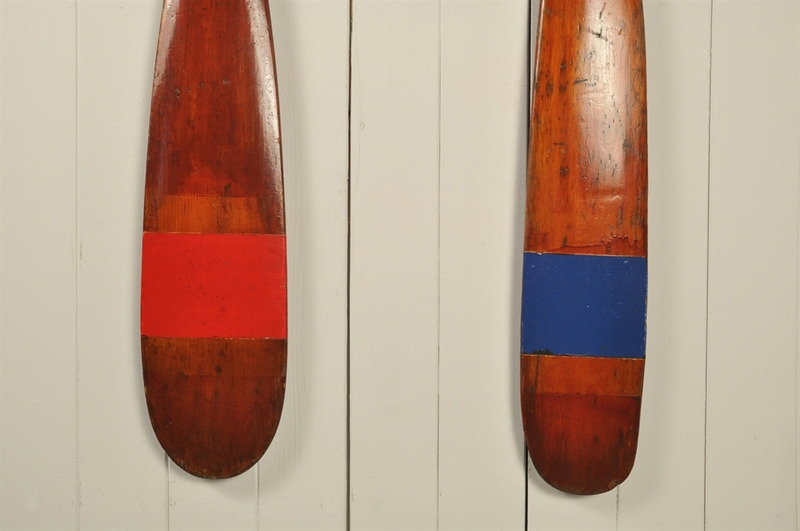 Not sure why the red and blue stripes .... maybe something to do with Port and Starboard ? We believe these to be circa 1930's all very original with authentic patina to the old varnish.